The 'friendly invasion' of Britain by over a million American G.I.s caused a sensation amongst a generation of young women deprived of male company during the Second World War. With their exotic accents, smart uniforms and aura of Hollywood glamour, the G.I.s soon had the local girls queuing up for a date, and the British boys off fighting abroad turning green with envy. But American soldiers offered something even more tantalising than a ready supply of chocolate, chewing gum and nylon stockings. Becoming a G.I. bride provided an escape route from Blitz-ravaged Britain, an opportunity for a whole new life in America - a country that was more affluent, more modern and less class-ridden than home. Some 70,000 G.I. 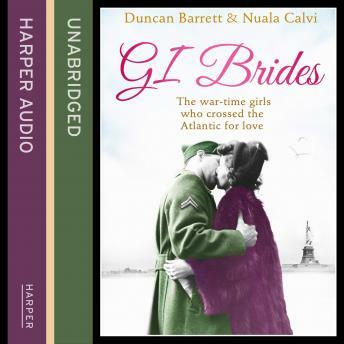 brides crossed the Atlantic at the end of the war to join the men who had captured their hearts - but the long voyage was just the beginning of a much bigger journey.